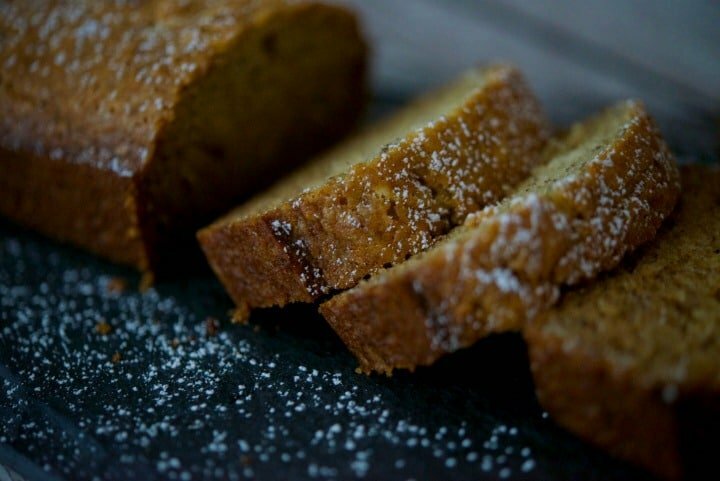 Combine the flavors of the season with this Eggnog Banana Bread made with bananas, eggnog and nutmeg. 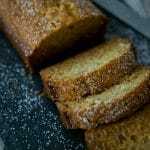 Make into mini loaves for gift giving too! 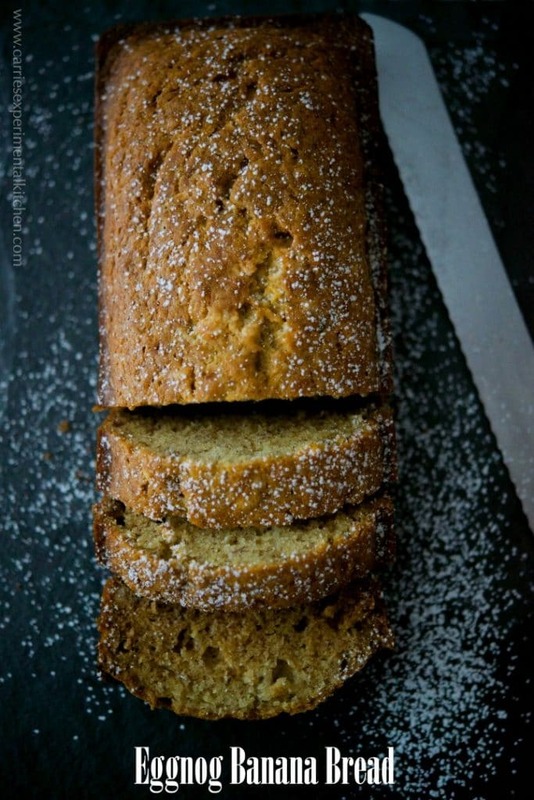 Therefore, I went back to my “roots” so to speak and just tweaked my regular banana bread recipe for this post. Though the first recipe was AH-MAZING, this one was even better because it had even more of that nutmeg flavor. 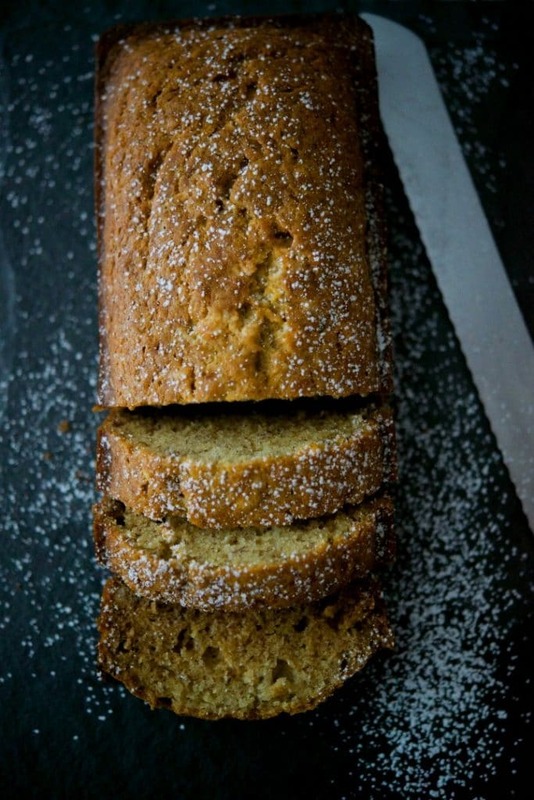 For this recipe you’ll need flour, baking soda, salt, ripe bananas, eggnog, oil, sugar, egg and nutmeg. Not too crazy right? And I bet you have most of these ingredients in your pantry already. I’ve said it before, but what I love about this recipe is you could add all of the ingredients together in one bowl, in any order and it comes out fine every time. Which is what I love about it because baking is not my forte. Once you combine all of the ingredients, add them to your favorite loaf pan, mini loaf pan, muffins or even a bundt pan. You’ll just need to adjust the cooking time appropriately. The bread will be done when you can gently touch the top and it springs back or when you insert a toothpick into the center and it comes out clean. Cooking is approximately 12-15 minutes for muffins, 20-30 minutes for mini loaves and 55-60 minutes for loaves or bundt pans. 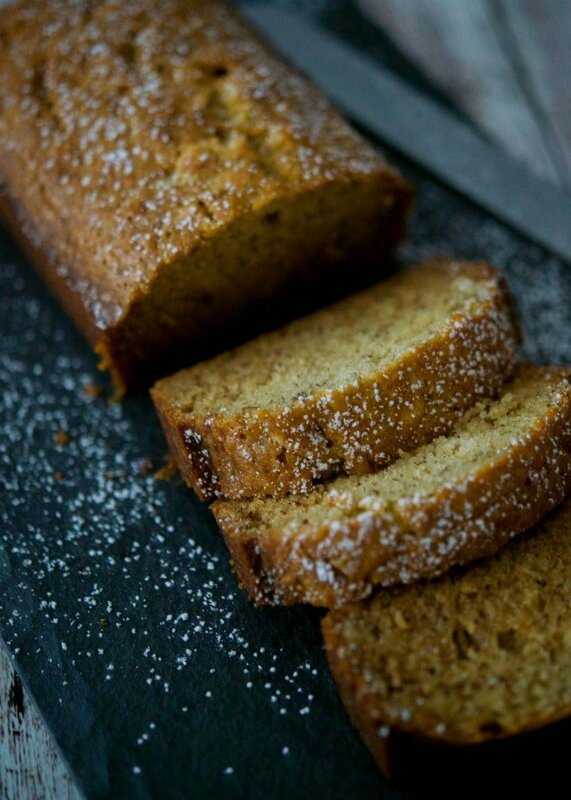 As a result, this Eggnog Banana Bread was deliciously moist and perfect for breakfast or afternoon snack. Breads in general make great hostess gifts this time of year and this bread is no exception. Wrap it in a decorative cellophane bag and add a gift tag or place as the center attraction on your cookie platters. ~Enjoy! Stay up to date on all of my latest recipe experiments by signing up for my weekly newsletter! Combine all of the ingredients in a large bowl until well blended; then pour batter into two greased regular sized loaf pans. Bake for approximately 50-60 minutes or until the top springs back when touched or a toothpick comes out clean when inserted. This recipe makes two, full size loaf breads. Adjust your cooking time if using a mini loaf pan, muffin tin or bundt cake pan. Try these other eggnog recipes too! Don’t forget to visit the recipe index to search for more recipes by categories and stop by to say hello on Facebook,Twitter,Pinterest and Instagram too!